The Phantom bodies are becoming quite the popular option this spring! The cool thing is, with all the different accessories and wheel & tire options, not two of these Phantoms that leave the SC Carts HQ look the same! 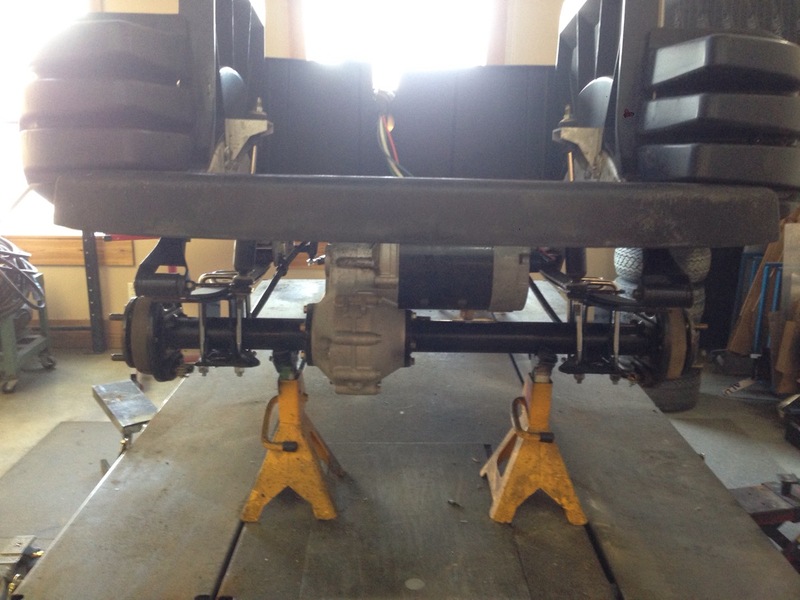 On the lift and the tear down is well underway. 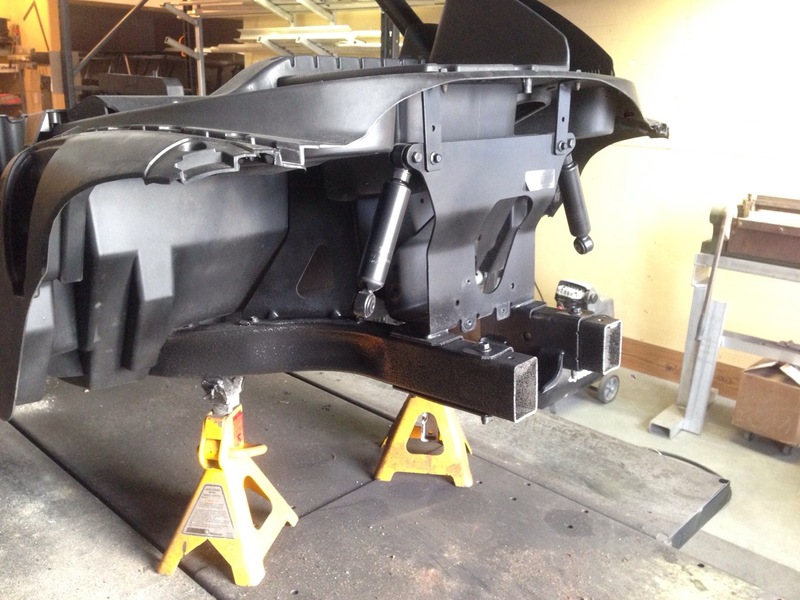 With all the front end components removed, we decided to black out the front end of the Precedent. 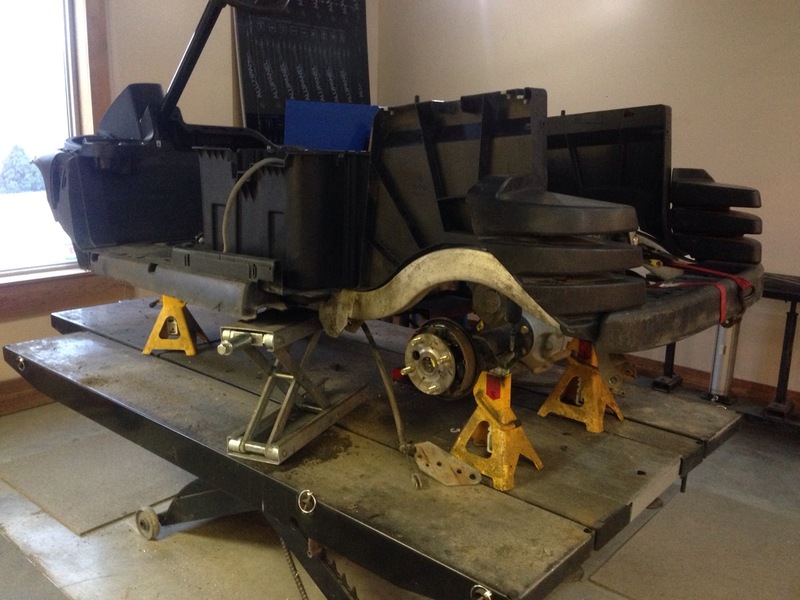 Next we tore into the rear end, pulling the factory suspension and getting it ready for the lift kit. 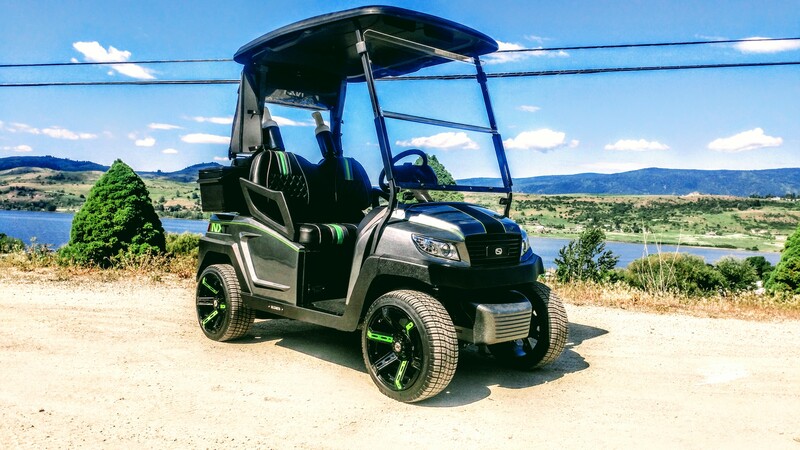 We decided last minute that a 6″ lift would suit this cart better, so after clearing it with the customer we proceeded with the 6″ A arm lift kit. 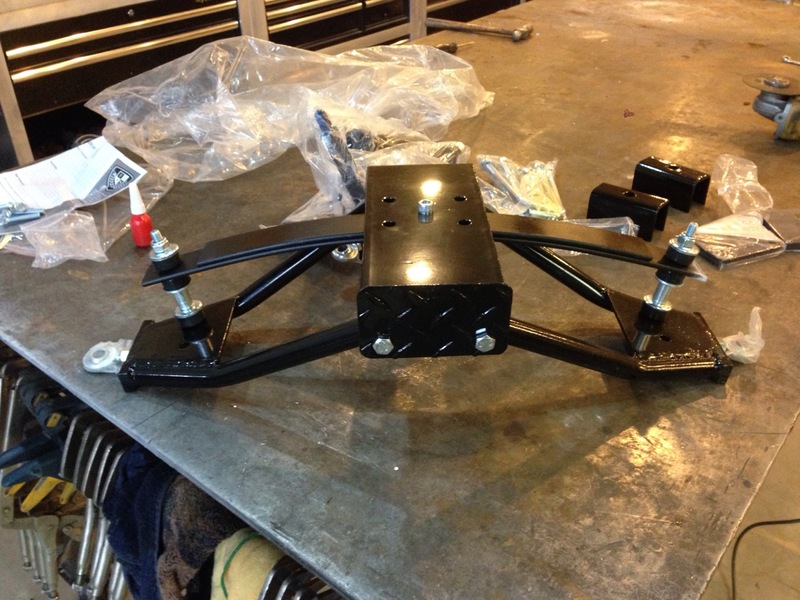 Here it is, mounting the main lower assembly in place. 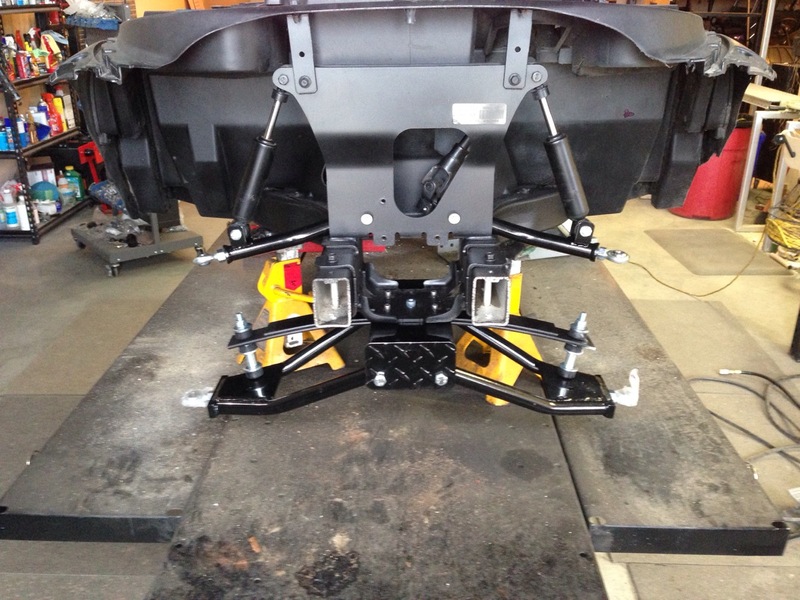 Next we installed the upper a arms, this kit gives a good combination between ride quality and a heavy duty front end. 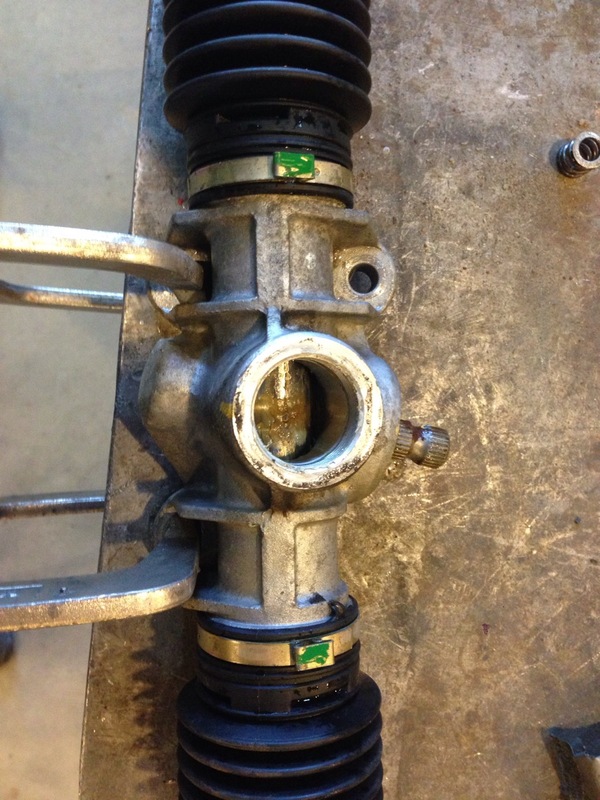 Next we opened the steering rack and greased it, then set the tension. Now this looks beefy! 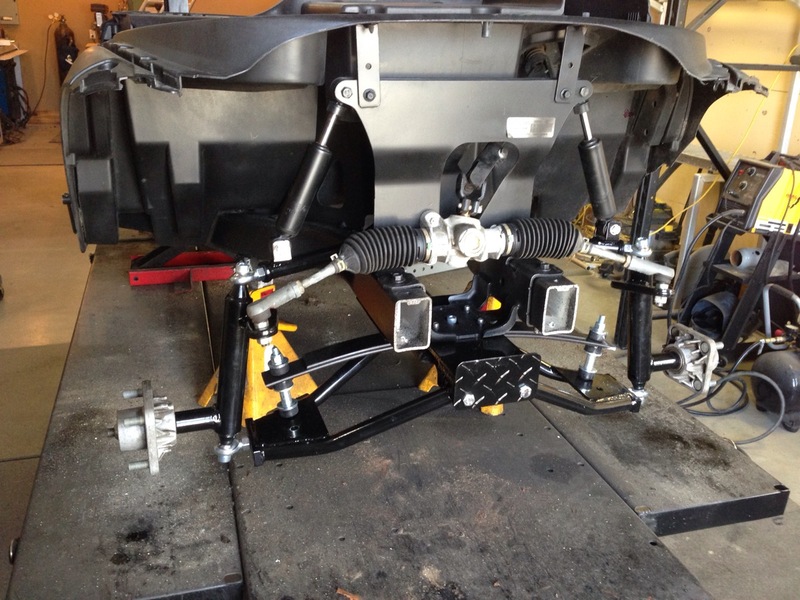 Front spindles, steering rack and hubs installed, all we need now is a wheel and tire package up front. 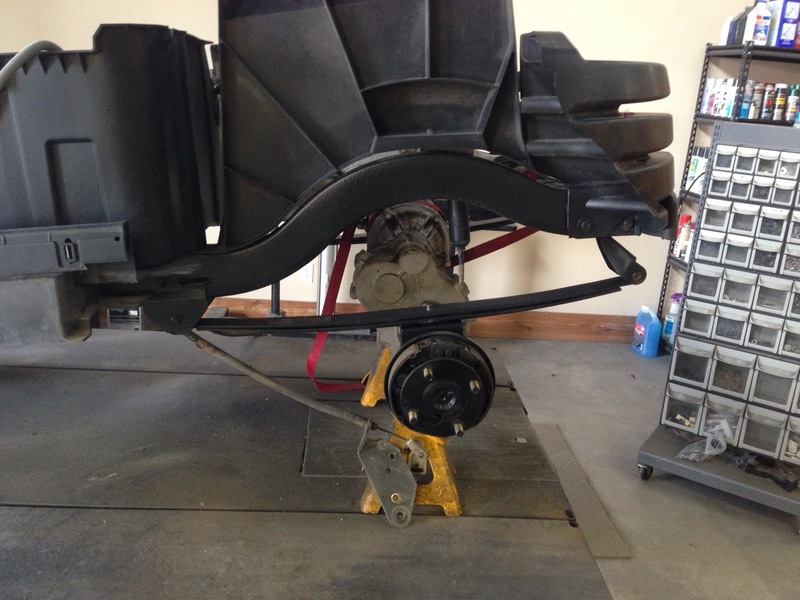 With the front complete, we moved to the rear and installed our SC Carts HD soft ride suspension. 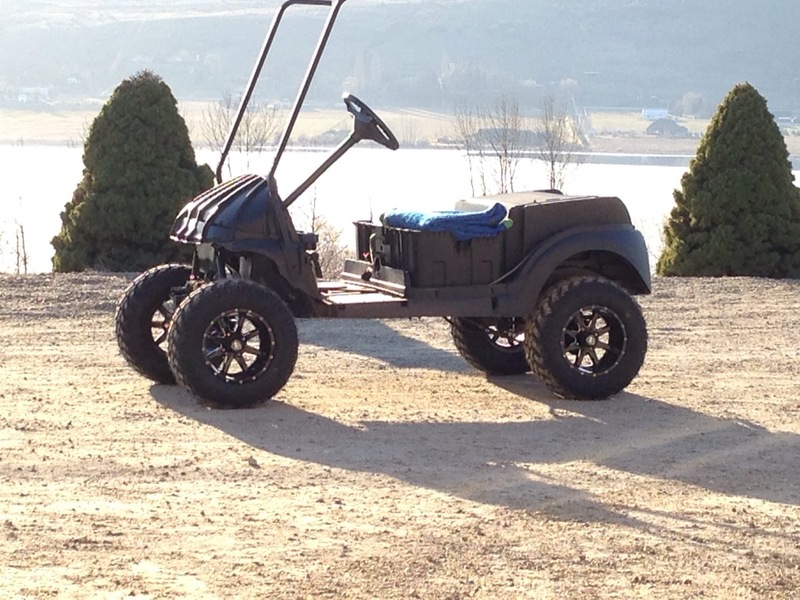 This will give the cart the extra carrying capacity needed while still giving it a nice ride. 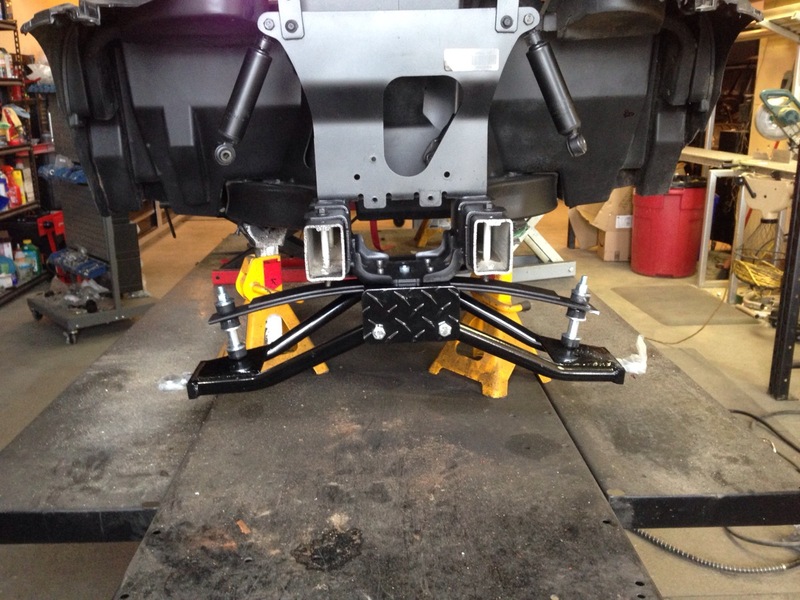 6″ lift blocks installed and heavy duty u bolts. 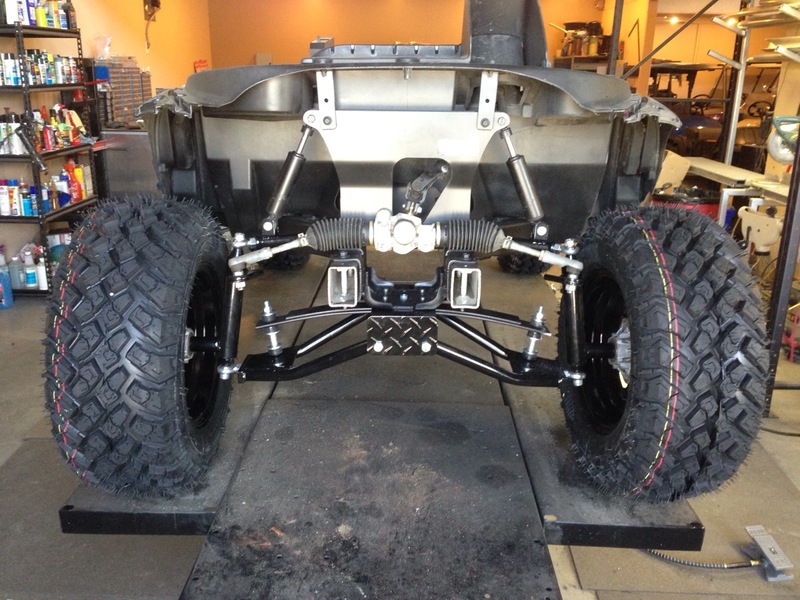 Hows this for a stance! BAM!!! 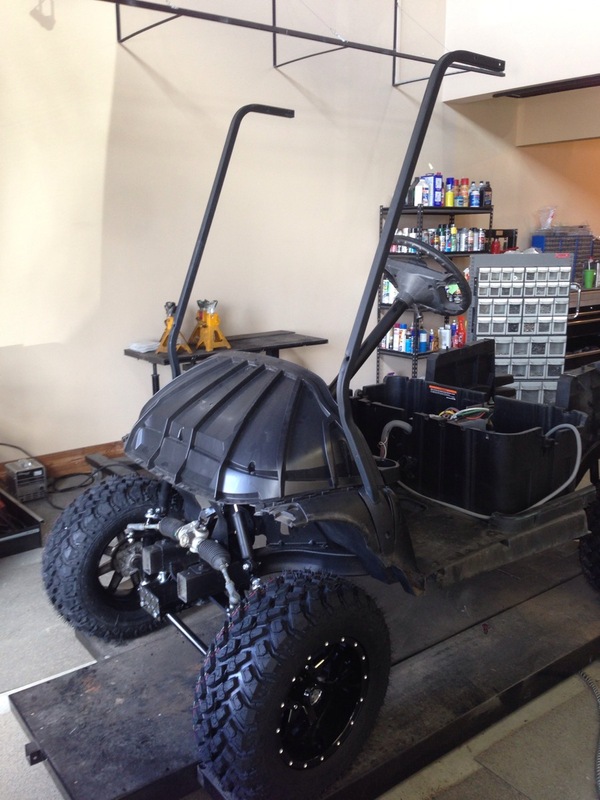 Now that is a mean looking machine, notice how we also blacked out the back of the cart. 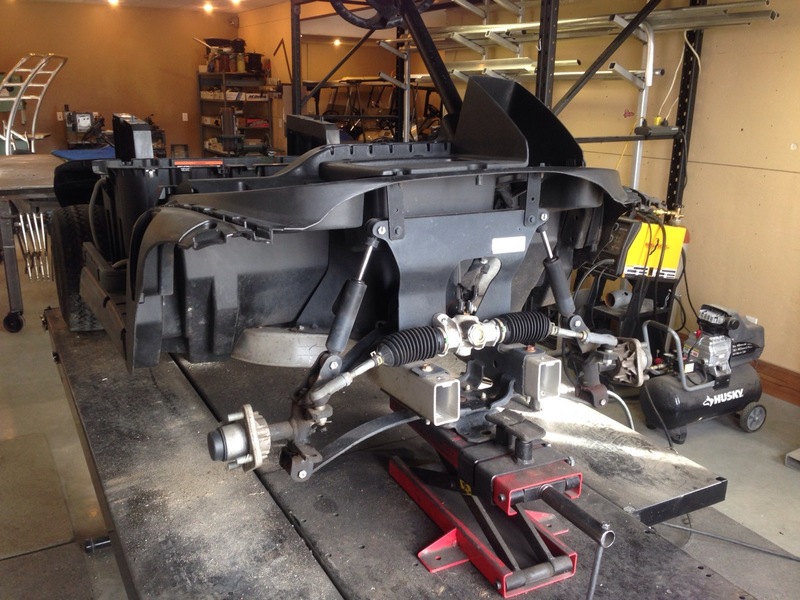 Front under body and front uprights…check! 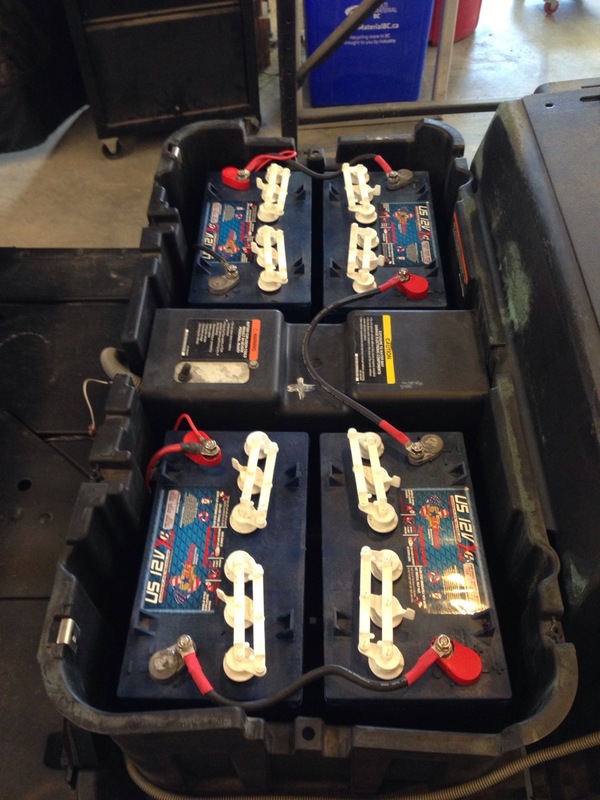 Brand new US Batteries, with our heavy duty 4 gauge wire kit. 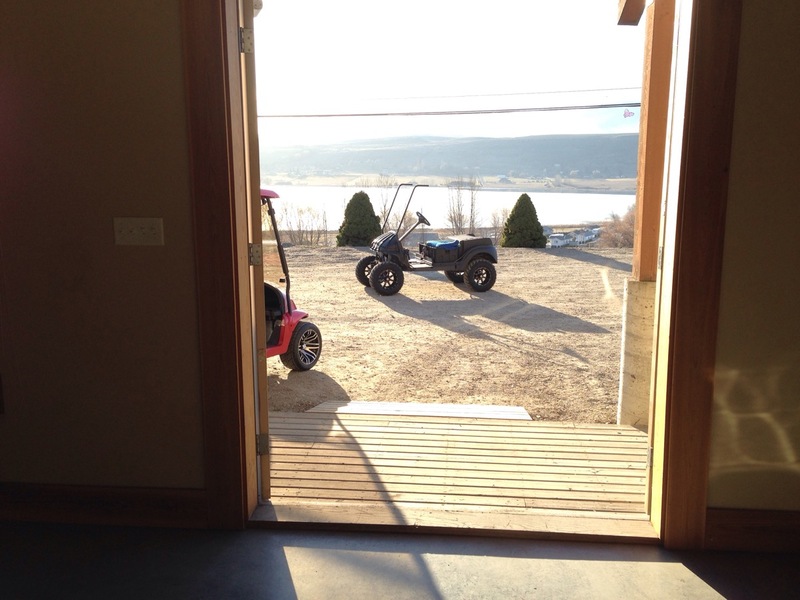 With the heart of the machine installed, we couldn’t help but take it for a ride! This machine is looking awesome, this is going to be one awesome looking Phantom Precedent. Make sure to check out our Facebook page! 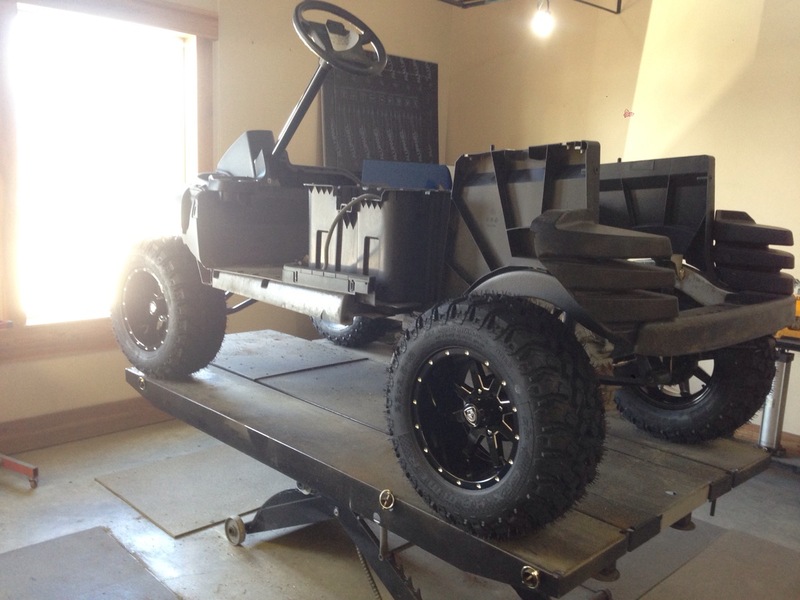 This cart will be finished before next Tuesday so we will give you a sneak peak on our FB page!